The Board of Zoning, Planning and Appeals will hold a formal public hearing at 7:30 PM on Thursday, February 14th, to consider recommending to the Mayor and Board of Trustees adoption of the proposed Unified Development Ordinance and Zoning Map. During the public hearing the ZPA will hear testimony from and consider any evidence provided by persons interested in speaking on the proposed UDO and Zoning Map. 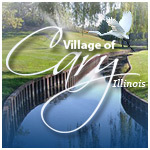 The Village invites any residents or property owners who are interested in learning about the proposed code updates to attend these meetings and participate.